Sixteen year-old Precious is obese, illiterate, physically and mentally abused, and pregnant (again) by her father. When an incident at school finally attracts attention, Precious grabs the lifeline offered by a teaching programme for problem girls. 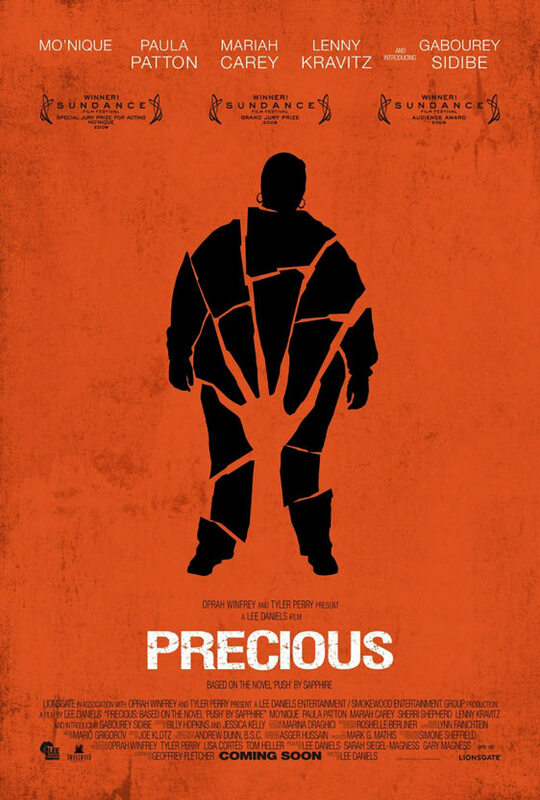 Gabourey Sidibe’s Precious maintains an impassive attitude, making all the more affecting the flashes of emotion she exposes when pushed (PUSH is the title of the novel the film is based on). Mo’Nique, better known as a stand-up comic, plays a mother so monstrous she’d fit into a horror film. In smaller roles, Mariah Carey gives a strong performance as the social worker who uncovers the truth about Precious’ ‘home’ life, and Lenny Kravitz charms as a compassionate nurse. Even as this is a triumph for indie filmmaking from Producer (Monster’s Ball)-turned-director Lee Daniels, rarely has one been so relieved to have an uplifting outcome.